Accessed on 13 March 2018, 0040 UTC, Post #491. 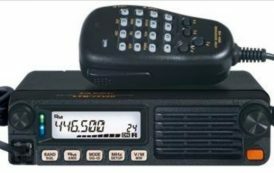 Here is the latest Amateur/Ham Radio news from http://qrznow.com. The views expressed in this news summary are those of the reporters and correspondents. Everyone is invited to the HPP Radio Day from 0900 to 1600, Saturday, 28 April 2018, at the Hawaiian Paradise Park Community Center, 17th and Maku’u in the Puna District. According to coordinator Mike Stratton (KH6PAC), We want to let everyone know that the event is open to all hams, especially the newest ham operators…” For details, contact Mike at jefffan@hotmail.com. Don’t forget to sign up for the Big Island Amateur Radio Club’s QTH.NET Email Listserve. According to coordinator Lest Hittner (K0BAD), “The main advantage of using such a listserve is that you do not have to individually maintain a list of club-member email addresses in order to enter into important conversations related to club operations.” Hittner adds that “The listserve provides a secure means of sending club email.” For more information, please contact Les at lhittner@hbci.com.